The largest and most affordable Online Frame Road Bike Shop! Frame Road Bike shop the largest and most affordable! Do you want to buy Road Bike Frame online? 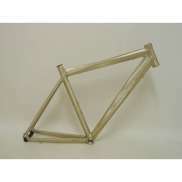 Hollandbikeshop.com has the Frame for the Road Bike you're looking for. A road bike frame should be lightweight and robust, which is why it's often made of aluminum or carbon. On these slim road bike frames, you can take an aerodynamic riding position in order to set record speeds. At Hollandbikeshop.com you can find a wide range of Road Bike Frames by brands like Astro, Dedacciai and Montano. In our wide Frame Road Bike range on Hollandbikeshop.com, you can find road bike frames in various colors, sizes, models, materials and weights. So you'll surely find the Frames for the Road Bike you're looking for. Hollandbikeshop.com is dealer of Road Bike Frames and has a large and affordable range. We also often have Frames for your Road Bike on sale or in our outlet, so keep an eye on our sale button. The largest and most affordable online Frame Road Bike shop!